Looking to buy or sell? 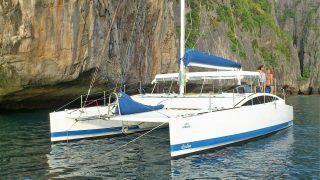 MULTIHULL SOLUTIONS IS Asia Pacific's catamaran & trimaran specialist. Multihull Solutions specialises in sales of the world’s finest power boats including the long-range Fountaine Pajot Motor Yachts, Iliad Catamarans and Stealth Catamarans.We also have a wide selection of pre-owned catamarans for sale from Leopard catamarans, Seaway, Intrepid, Robertson and Caine catamarans and more! Click on the links below to see all of our new and used power catamarans for sale. 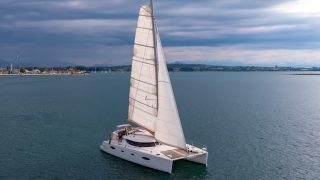 Multihull Solutions specialises in selling new multihulls from Fountaine Pajot, Neel Trimarans, Corsair Trimarans and Ocean Voyager Day Charter Catamarans. We also offer a wide selection of pre-owned multihulls from Leopard, Lagoon, Seawind, Schionning, Lightwave, Arrowcat, Chamberlain, Corsair, Crowther, Debonair, Fusion, Grainger, Perry, King, Bob Oram, Evolution, Broadblue and more! 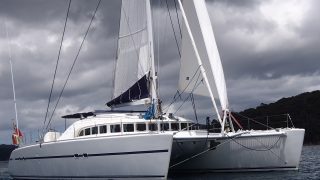 Click on the links below to see all of our new and used sailing multihulls for sale. 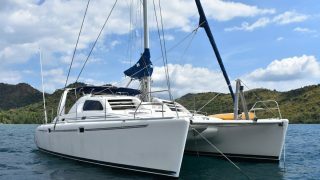 In addition to our extensive range of premier new boats for sale, Multihull Solutions has a quality pre-owned Brokerage division with an extensive array of multihulls priced from AUD$250,000 – $10 million. 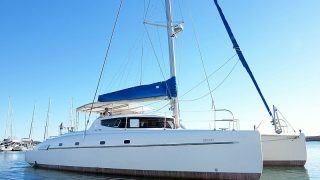 Click on the links below to see all of our used catamarans for sale. To be the first to know about Multihull Solutions Events, please subscribe to our newsletter. “LIKE” us on Facebook and you can rest assured you’ll be the first to hear any breaking news, great deals, events and more.